For any wine or stock item you can adjust the cost at any point in time. Sometimes more importantly, you may backdate a cost adjustment and so its impact will flow through to all blends, bottling or other uses AFTER that date. This ripple forward effect is a unique and powerful feature of the costing model in vintrace. 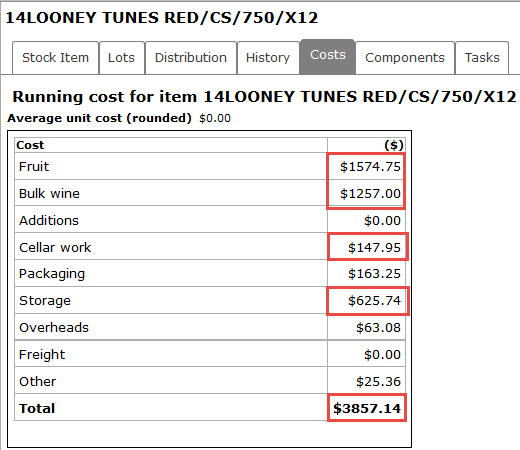 Locate a wine or stock item and then go to its costing. 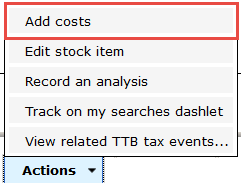 Use the Add costs button to open the Admin [Add costs] window. 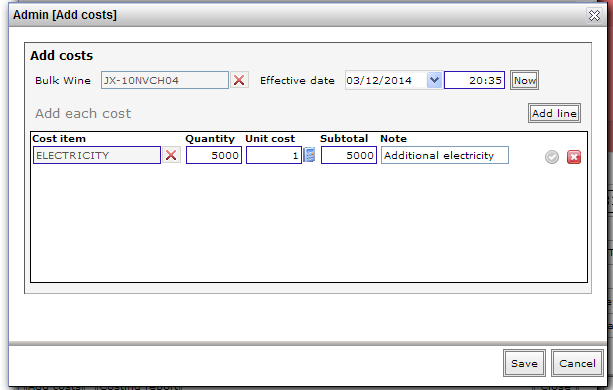 You will need to have custom Cost items configured. 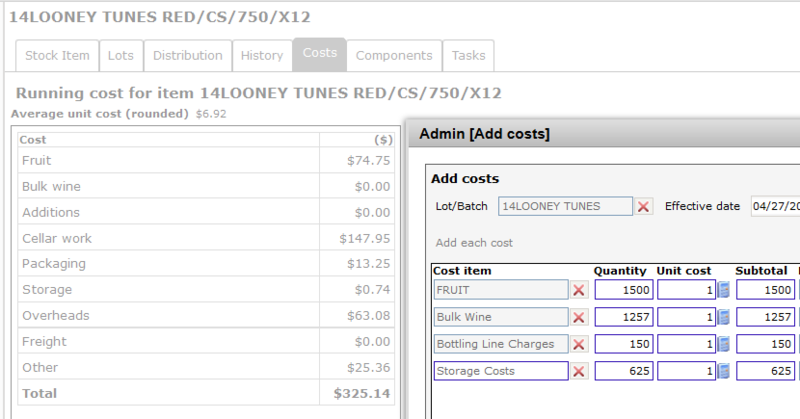 You may configure these under Winery Setup – Costing or you can simply add them as you need by using the New button next to the Cost item search field. Note the change in the running costs by cost category and the total. 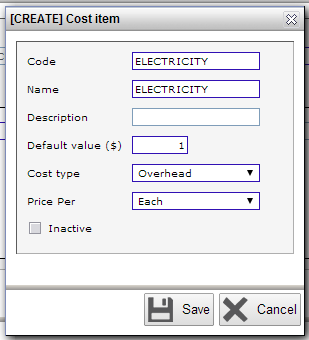 Adding a new Cost item requires you to give that item a code and also a Costing category that it should impact. Select the most appropriate one before selecting save. We’d recommend leaving Price per field as Each and leaving the Default value ($) as 1 unless you have a specific fixed cost that you want applied. You can then reference that Cost item and set an appropriate Quantity and Unit Cost to work out the total cost adjustment. In order to reduce the cost of the wine you can simply apply a negative cost adjustment. To ensure a correct outcome, use the same cost item as the original. We recommend always setting a note in these situations so there is a clear explanation for the price correction. The Effective date will ensure this cost is applied as of that date so please keep that in mind if backdating any cost adjustments.